Notes: Olive Oil's heavy viscosity, oily texture and aroma makes it less ideal than other oils for skin care and aromatherapy. If not carefully used or used in a small dilution with another carrier, it can overpower a blend. Scent: Smells somewhat like olives. Absorption/Feel: Absorbs into skin at average speed, slight oil feeling left on skin. 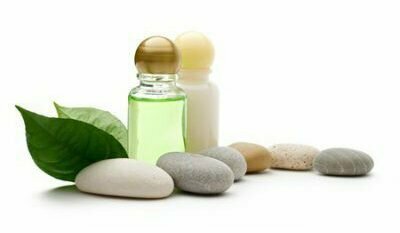 Benefits: Olive oil is by far the most universal oil used for a multitude of purposes including cosmetics, as a carrier oil, for hair care solutions, and in cooking. It is good for inflammation, acne, bruises, sprains, high cholesterol (internally), hearth health (internally), and increasing bile secretion (internally). Applied externally it is useful for dehydrated, sore and inflamed skin and is also used as a remedy for arthritis. It is effective for periodontal issues, sun burn, rashes, wounds, insect bites – it helps with the itching and speeds up healing. There are a lot of benefits of using olive oil including relief from ear pain and joint pain. Olive oil is a terrific emergency oil to use if you don’t have anything else on hand. Olive oil contains a lot of proteins, vitamins and minerals which can help smooth skin and rejuvenate hair’s lost shine and smoothness. It's great for diaper rash, too. Precautions: Olive Oil can cause sensitivity or allergic reactions in some individuals. Transcriptional Regulation of Stearoyl-Acyl Carrier Protein Desaturase Genes in Response to Abiotic Stresses Leads to Changes in the Unsaturated Fatty Acids Composition of Olive Mesocarp.